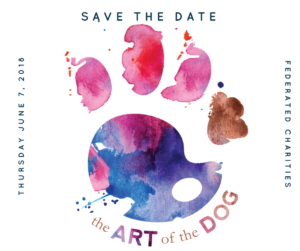 On Thursday June 7th, we will host our second annual event, The Art of the Dog at Federated Charities. 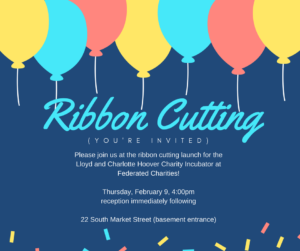 Our board of directors will welcome you to our renovated rose garden and first floor of our lovely, historic building where you will enjoy beer, wine and soft drinks, eats and art (silent auction to benefit the programs and services of Federated Charities). But wait, do we have anything to do with dogs? A little bit because we have owned one since 1858 where he has stood watch over our building and the community. As one of the most iconic fixtures in downtown Frederick, hundreds if not thousands of people walk past him every day but unless you’ve needed a lawyer or a wheelchair (or any other type of human service), you may not be aware of the work that we do. 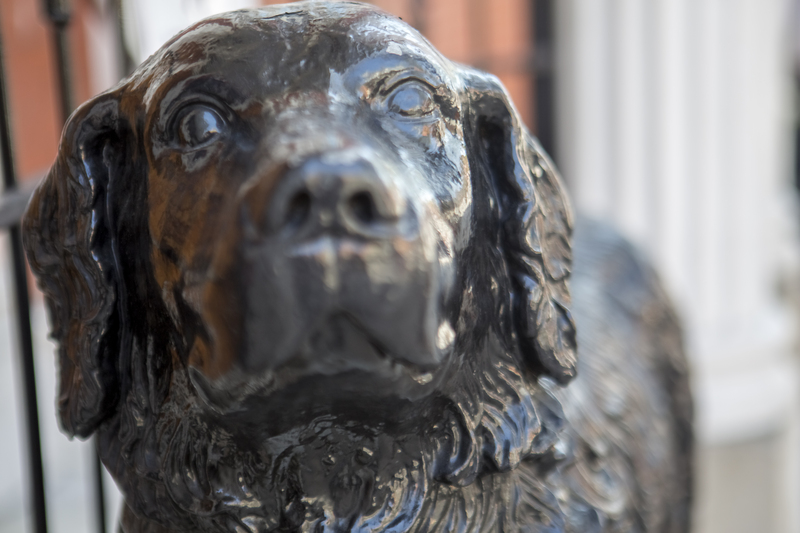 Since 1911 we have addressed critical needs in this community and since 1930, we have done it from our bricks and mortar building with the dog statue. 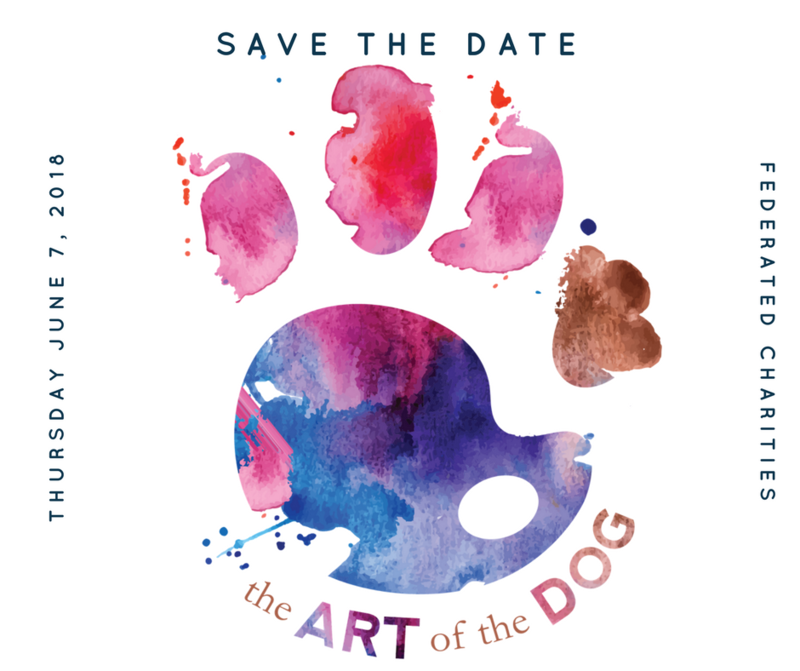 The Art of the Dog is just our way to celebrate that work. Local artists and makers and just generous people donate items for our silent auction and you get to enjoy our space for an evening. Tickets are available now. 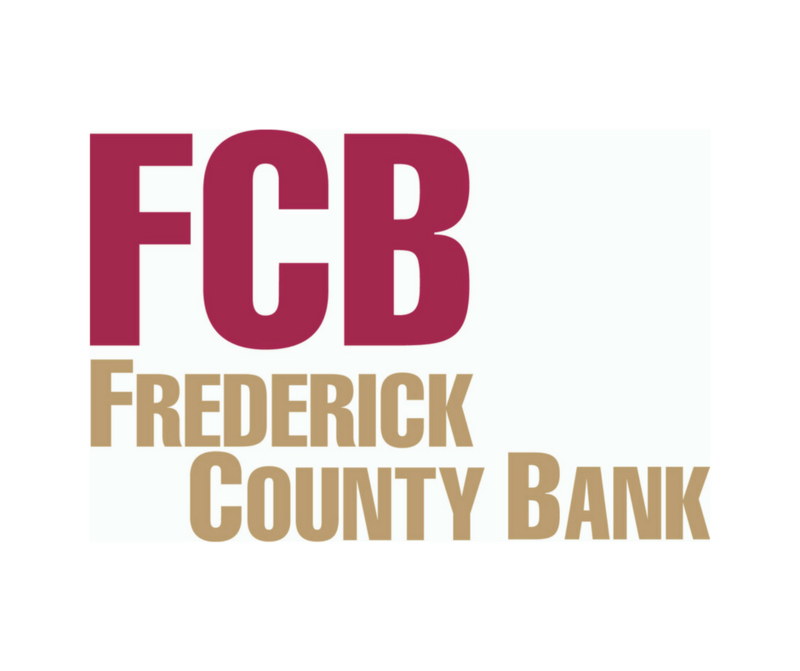 On March 25, 1911, a group of people in Frederick had an idea to bring together all the charitable aid services in the community so their efforts could be focused, structured and more efficient and so, the idea of Federated Charities was born. 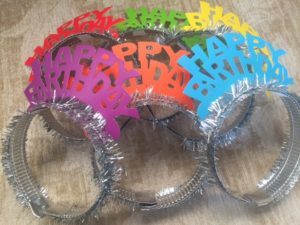 For the next 107 years we have provided a safety net, not just for individuals in need, but for organizations who share the common idea that no citizen should be left behind in our community. From early public health and services for children and families to our collaborative nonprofit center of today, Federated Charities has been a part of the landscape of Frederick and we have been proud of our efforts and those of our tenant partners (if you would like a copy of our 2017 annual report, please contact us). Please join us to celebrate the past 107 years and our next century of services, programs and opportunities. 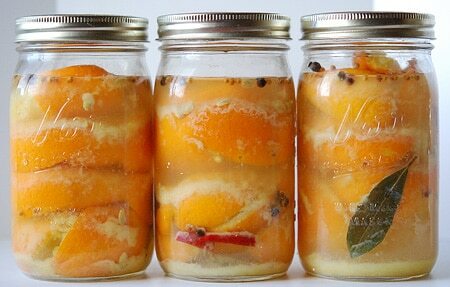 First Community Table Session of 2018 Starts Tonight! According to The Dietary Guidelines for Americans, healthy eating patterns have been shown in many studies to help people reduce risks of chronic disease throughout their lives. The Community Table Project starts a 3rd year of new sessions tonight in partnership with The Housing Authority of the City of Frederick and The Common Market Co-op (and our newest partner in the game, Produce in a SNAP). What’s on the menu for dinner? 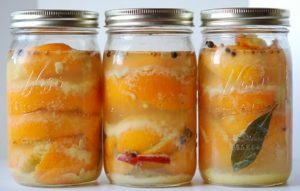 Cauliflower carrot soup, preserved lemons and kelp tacos (yes, you read that right!-)…sounds like disease reduction to us. Want more information about The Dietary Guidelines? Click here. 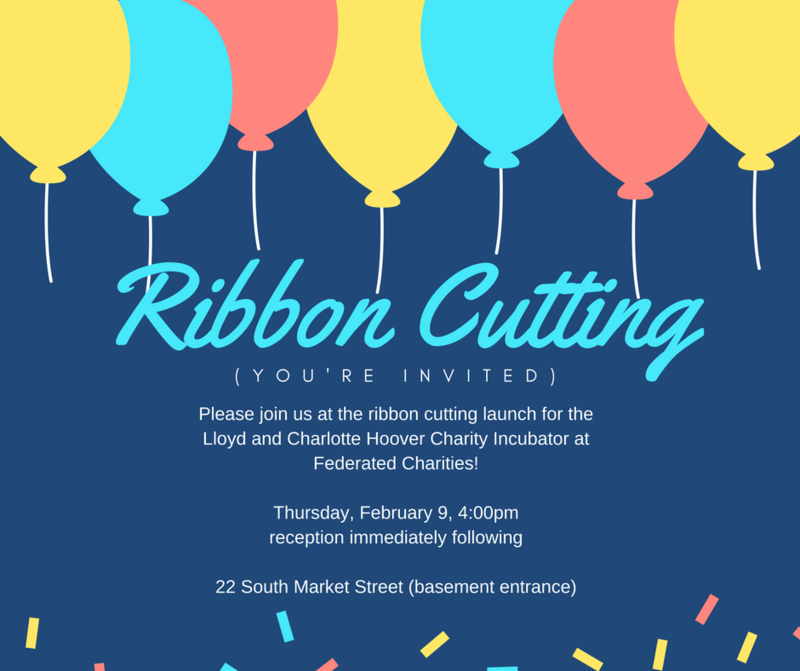 Our official launch of the Lloyd and Charlotte Hoover Charity Incubator is just around the corner and we hope you can make it. This co-work space offers users free wi-fi, flexible workspaces and collaborative and development opportunities that are specifically designed for emerging businesses. 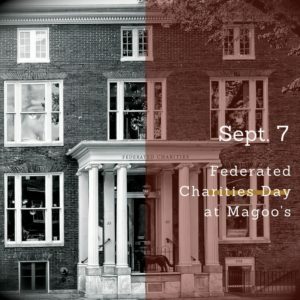 Wednesday September 7th is Federated Charities Day at Magoo’s in downtown Frederick. As part of our participation in the 2016 Unity Campaign, Magoo’s owner, Jennifer Dougherty has generously offered to host our supporters for the whole day (that’s breakfast, lunch, happy hour, dinner and late night) and donate a portion of the proceeds to us. Corporate and individual dollars spent as part of the Unity Campaign count for more because of matching funds that will be awarded at the end of the campaign. Our participation in the campaign helps support the Beverly A. Sharrer Medical Equipment Loan Closet and helps us provide additional strategic services for our own Tenant-Partners and other non-profits in the community. Elder Care Expo Is Coming! According to the Family Caregiver Alliance, approximately 44 million Americans provide unpaid assistance and support to older people and adults with disabilities who live in the community. Caregiving can be extremely stressful physically and emotionally. This year, the Elder Care Expo is hosting a special night-before preview specifically designed to support caregivers. Vendor booths will be open at 4:00 on Tuesday October 11th representing more than 75 local senior care resources and registration for the event will include a boxed dinner and caregiving services. The event will feature caregiver and gerontology speakers and sets the tone for the Expo the next day. The great majority of borrowers from the Beverly Sharrer Medical Equipment Closet are senior citizens and we frequently meet their sons, daughters and spouses so we know how important it is to support caregivers themselves. This promises to be an exciting add-on to the 2016 Expo and we’re looking forward to seeing you there!